Stian Stiansen, 85, drowns after boat capsized off the shore of Shinnecock Inlet early Sunday. Early Sunday morning, two local fisherman set sail to the open sea in hopes of scoring fluke and flounder before returning to the shore before sunset. Only one of them made it back to shore safely, after holding onto a floating buoy and being rescued by a passing patrol boat. Stian Stiansen and Scott Finne, set off on the vessel, Pauline IV, into the choppy and violent sea off the coast of Hampton Bays the morning of May 12. The Shinnecock inlet proved difficult but as experienced mariners who have mastered the ocean their entire lives, it was another day at work. Stian Stiansen, 85, from East Quogue, a veteran fisherman and legend of the Long Island marine community, was the man captaining the ship with deckhand Scott Finne. One large "freak" wave overturned the boat, sending Scott Finne, 42, overboard and the boat to capsize. Stian Stiansen was assumed to be thrown overboard as well, but was not seen by Scott while he struggled to stay afloat. His body was later discovered washed up on to the shore. "Of course I was concerned for the skipper. At no time did I ever see him come out, [from the cabin] I looked around as quick as I could but the boat quickly washed away from me, and after that it was 'stay afloat' and wait for help to arrive." Scott Finne recalls. While Finne was trying to stay afloat in the rough, icy waters, he luckily spotted an orange floatation buoy nearby and he swam to it, immediately holding on for dear life. He was rescued after spending a tiring 45 minutes wading in the 40F water. Both fishermen were extremely active and important in the commercial fishing fleets of Long Island. 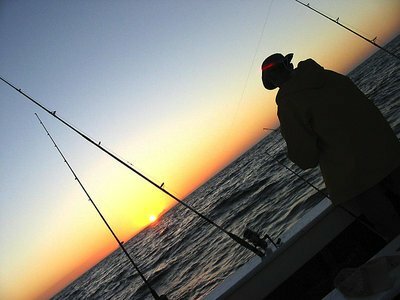 Stian was known for having dedicated his life to the ocean, fishing, and boating since age 16. He spent most of his days at sea, aboard ships, captaining, maintaining fleets, fishing, and enjoying the mysteries of the deep blue for over 70 years. He is widely known as one of Long Islands most experienced and dedicated fisherman and will be remembered as a Legendary Captain who inspired everyone in the marine community for decades. This tragedy also brings much attention to boat safety on Long Island, and the surrounding areas. New York averages 25 fatalities related to boating accidents per year, according to data from the National Coast guard. This week also highlights the first ever Boat Safety Week on Long Island, held by the town of Huntington. Last fourth of July, in which three children drowned in a boating collision on the Long Island sound, this week has been dedicated to educating mariners and hopefully preventing other fatalities in the future. Subject: LongIsland.com - Your Name sent you Article details of "Tragedy at Sea: Local Fisherman Drowns After Boat Capsizes Off the Coast of Hampton Bays"